Allow me to go straight to the point. Does Amsterdam need someone else making yet another photo of a canal house, dissecting its every inclined building, stripping off every single of the city’s hidden facets? Does the city need someone else attempting at getting hold of the essence of its people just to overly simplify everything into “Six things that annoy me about the Dutch”, slurping every of its characteristics only to digest them into a two-minute read entitled “Ten things you cannot miss in Amsterdam”? Do we really need to know all about yet another restaurant / bar of which interior recreates the hortus-botanicus with an industrial feel? I haven’t been able to avoid struggling with these questions since I started blogging. The numbers suggest a big yes. With a population density of 4,908 people per square kilometer, it seems like there’s room (some call it market) for more blogs, instagrams, web platforms, newspapers and magazines dedicated to the city. The current question seems to be originality, or the lack of it. Are we reproducing old formulas or creating genuine content? Do we permanently rely on the recurrent themes (tulips-ice-skating-kingsday-pillow-fight-at-the-Dam), or are we at something fresh? Do we conform to making endless lists of places and stuff, or do we bother to discuss something? Do we have a voice of our own? Talking about reproducing old formulas. A friend of mine was the first one to criticize me for writing about underground places. Isn’t it a contradiction, he asked? Aren’t these places intended to remain as such? What if everybody starts going there, and the essence is gone? I had an answer prepared for this, I told him that, in principle, people who read my blog are likeminded folks, who generally feel identified with the message I convey, and its underlying principles. So that’s OKAY if they come to our places. But how hypocrite my answer actually is, is what I am trying to grasp with this piece of writing. I totally reckon with the worries of my criticizers. These arise from a sort of ancient instinct of protection, which I share as well. But it is interesting that I am unnerved at the crowds flooding a certain event which started so small and cosy, while I happily write my impressions on it, for public consumption. Does this city as a whole need the publicity at all? I mean, there is no shortage in population over here. Similarly to 2010, in 2015 alone Amsterdam gained 34,000 inhabitants, which means a total population of 1,091,000 people within the urban area, a tendency of growth that has been in course since the 90’s. Furthermore, the city hosts an estimated 5 million visitors every year. Shouldn’t we be focusing in stimulating areas that are suffering from desertification, instead? Topdrukte = Dutch for busy as hell. Yes, crowds are making quite some newspaper headlines over here. I moved to Amsterdam around five and a half years ago, when its prestige for being this relaxed and progressive multicultural pot had been established since decades already. This “Amsterdam myth” was the exact reason why I landed here in the first place. It was exciting to live in a place with such concentration of young people from different provenances, and which was geographically small enough not to be overwhelming (it still is exciting, by the way!). The spirit of freedom people said to be so unique to Amsterdam proved right to me, and it only fueled more to my enthusiasm about my new home. I sort of took on this role of ambassador of the city, and started writing about it. In the meanwhile, the urban-life is something as aspirational as it has become tangible. Never in History did we see such a huge influx of people to urban areas. Like in all other capital-cities, it seems like everything has become glamorized in Amsterdam, and that we are all now living in a hot-spotified version of it. Instead of having a quotidian, we now have a lifestyle, in which we are models (instead of citizens) to be looked at by tourists, digested by travel websites, or more simply, throught the lenses of our own instagrams. Most of us have become urban explorers who want to frequent places which don’t come in tourist guides. We form a new-wave of tourism: we are travelers now, ready to explore every peculiar space, guided by the expertise of an insider, or a local blogger. The locals don’t want tourists around, but they like the travelers. The work of a blogger like me seems to be further dig into the landscape of the city, in a quest for the new, the authentic, the off-the-beaten-path, the local flavor. Every single behavior and habit is ready to be waved as the last bit of authenticity left, and sold as part of the local landscape. Every bridge, every stage, every venue, every cup of coffee, every outfit, every traditional thing, every new whatever is potentially commercializable. But will an article which features a working-class neighborhood as an upcoming recreative destination do more harm than good to the local population? What about gentrification? Am I fueling it? Or am I, as I wished in the first place, bringing something that adds up to the conversation? Sometimes I think it would be much more useful to be writing about other places, the smaller cities, the villages, the countryside, everything which is not the ultra-branded Amsterdam. Other times I also wonder if I can keep up with the ever-growing population density of this city. Where is the line which separates the adrenaline of being part of this group of dynamic people (the so-called Amsterdammers), from the stress which arises from how crowded this place has become? This is quite an ironic question since I am a very good example of the many who benefit from the opportunities that arise from belonging to the tribe. I have been benefiting from Amsterdam’s dynamics and possibilities since I arrived: from the tolerance, the wealth, the diversity, the abundance, even from the crowds (that quite often make me so nervous), so eager as they are to spend their money in our city. After all, the crowds are composed of people who, just like me, are excited to be here. Excited about the picturesque of the sloping buildings and canals, about the bohemian life which so spectacularly disregards weather conditions, the live-and-let-live mentality, the energy exuding from the city. Excited about this taste of freedom. I will continue writing, that’s for sure. I’ll keep on letting others know about my favorite spaces in the city. I’ll proceed with registering my emotional geography of Amsterdam. I’ll keep on getting annoyed at crowds and tourists and cliches. But I know I’ll also remain in awe with the life I am allowed to live here – this big bubble of happiness – which shields me from the all the darker things and places out there. But I hope that despite all this abundance, I can still be sharp, and do what I do critically. I hope that I do have a voice of my own, and that throught it, I can raise questions. I hope I can uplift others. I hope that all this is not just a narcissistic exercise but that I can actually be of service, in some sort of way. Wow. That sounds like a fun place to live. So much better than having loads of the same chain shops again and again!! I have to admit I avoided writing about some of my favourite places in this city – and they are not even the underground type! 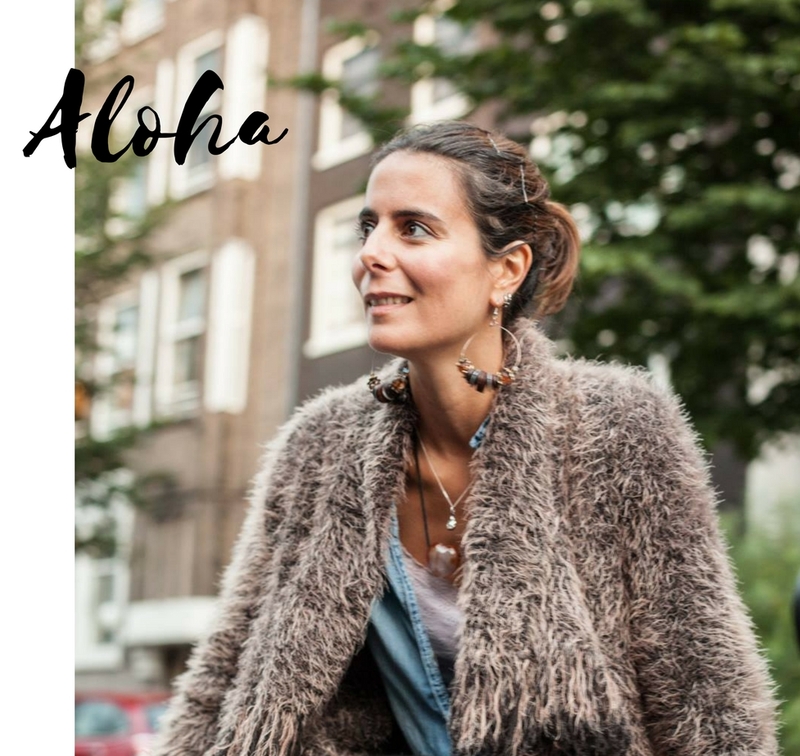 I also asked myself several times lately if I can keep up with the crowded city that Amsterdam has become, and I was considering even moving to other places – but in the end I decided that this is still the best place for me to be. That being said, I enjoy going to places that are out of the tourist route and I struggle between the wish to share them with other people and the thought of keeping them the way they are. I guess it’s still a decision to be made. Thank you so much Dana for sharing your thoughts on this matter. It’s a dilemma, isn’t it? Writing about your favorite places but wishing they weren’t crowded. Or having this feeling you are contributing to this commercialization or glamorization of everything. Or worst, talking about an underground venue and having this feeling you’re somehow betraying the “community” that is making it happen. At the same type: does it make sense to censor ourselves? Shouldn’t we just keep on doing our job? It is a dilemma. For me, it depends on my mood: sometimes (well, more often than not, which is not helping me as a blogger) I feel like there should be a part of my life kept out of the online, out of public reach. Other times I feel like sharing everything with the world. We could also decide to share more of our thoughts instead of the cool places to go – but that depends really on what you want to make out of your blog. P.S. I was thinking to choose a small little village outside the city. Veesp and Zanse Schaans were high on the list. I am always drawn to visit those quaint little places tucked away in small corners across every place I visit. I believe the joy and comfort such places bring to people like me is meant to be shared. I like that I do not read about it in the first lonely planet or equivalent that I would have picked up but that I spend some time to dig through the internet. Like you mention like minded people will find the information when they seek it through blogs like these. They should have every right and the opportunity to do so. Censoring such information altogether would mean the shop never wanted to be found in the first place in my opinion Then what reason does it have to exist. Yes, I like to think I write for the explorers like you and me, the ones who want to dive into the culture, and not just take a picture having a landscape in the background as if it was a trophy they just conquered. It’s great when there’s a interaction which enriches both parts, not just one of them ‘consuming’ the other. I still think urban-blogging poses some challenges in this era of globalization and mass tourism. Because geographically small places might really suffer some nasty side effects caused by massive crowds, especially when they wish to remain relatively anonym. That’s essentially what worries me.